Accessories: Air Sets, Limit Switches, Manual Over-Ride, Positioners, etc. In the closed position, pressure moves the ball into the conical seating surface and holds it in place. Line contact between the ball and the seat results in high surface loads between the seat and the ball producing tight closure. As pressure increases, the seat load increases improving the seal. 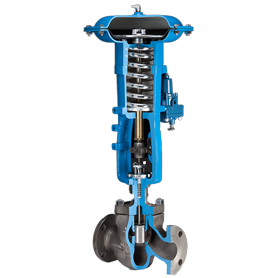 During each valve stroke, the ball rotates and repositions itself presenting a new sealing surface to the seat, prolonging the tight shutoff capability. Temperature changes do not affect the tight shutoff since there is freedom of movement between the ball and the seat. The ball cannot become wedged into the seat. The guide pin is used to set the valve position. During normal operation, it has no function. 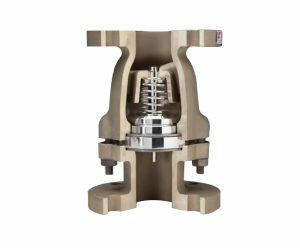 In the full open position a Straight-thru flowpath exists and the valve operates with the inherently high flow capacity of a venturi. The ball is firmly held out of the flow stream by four inclined pads on the cage which oppose the pressure differential force. The Bernoulli pressure differential moves the suspended particles towards the center of the fluid stream, preventing them from settling out into the body. 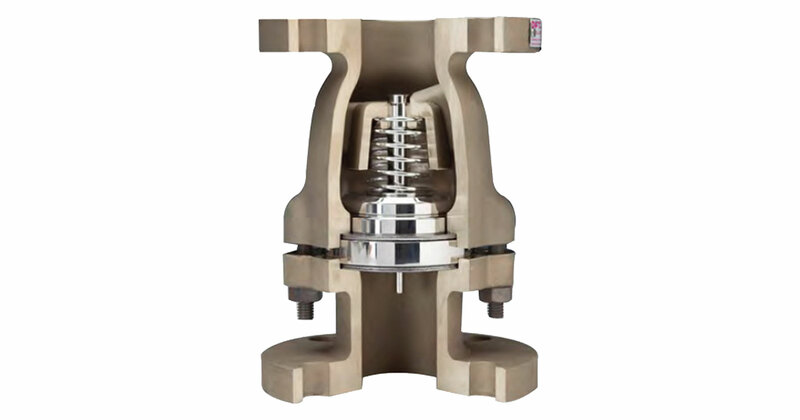 This keeps the valve clean and free of material deposits in all positions during the valve stroke. As the valve opens, it operates in the close throttling position. In this position, the ball is supported by the two forward inclined pads on the cage and the seat surface which oppose the pressure differential force caused by the Bernoulli effect. The ball is supported and stable throughout the valve stroke and does not pinwheel or chatter. In the intermediate throttling position, the ball rests on the four cage pads and is opposed by the same differential pressure force. The stable suspension of the ball throughout the valve stroke permits extremely close and repeatable control throughout the entire valve stroke. pressure and fully open at 1.0 psi differential pressure. NACE standards, MR0175/ISO 15156 or MR0103. Copyright © Sceptre Mechanical. All Right Reserved.